MaizeGDB accepts data that adheres to the FAIR data principles and which has been published and licensed as public data (See https://creativecommons.org/licenses/). Click here for MaizeGDB's recommendations on FAIR data practices for maize researchers. Comprehensive metadata (information about your dataset) is also required for all data accepted by MaizeGDB. To request an exception, contact us. MaizeGDB is not a permanent repository for primary data. 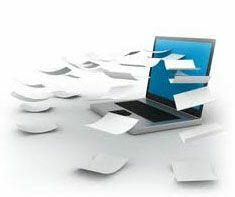 In many cases we may request that your data also be submitted to long-term repository that is appropriate for the type of your research and data. We can help you find the proper repository for your data. MaizeGDB will happily accept data directly from researchers. Some types of data must also be deposited at standard repositories. The MaizeGDB team can advise on the correct repository and help with the submission, if needed. It is particularly important that all sequence data be submitted to either NCBI's GenBank (US), EBI's ENA (Europe), or the DDBJ (Japan). These repositories share all of their data on a daily basis, so data submitted by any of these will be visible at all three. If your research is identifying new genes, providing evidence of gene function, and/or linking gene loci to gene models, it would be very helpful to MaizeGDB and the maize community, as well as increasing visibility of your research if you submit this information directly to MaizeGDB rather than relying on the MaizeGDB curators reading your paper and extractng this information to load into the database. The number of maize papers published each month is much greater than the number of papers that can be curated. Download and fill in [this template - link] then send it to the MaizeGDB curators to have your gene function information loaded into the MaizeGDB database. Preparing a genome assembly for archival and hosting at MaizeGDB is a lengthy process. Genome assemblies must be submitted to GenBank before they can be hosted at MaizeGDB. Genomes may also be submitted to EBI. GenBank (US), EBI (European), and DDBJ (Japan) share all data on a daily basis, so data can be submitted to any of the three. The first and most important step is to contact the MaizeGDB staff before before your assembly is complete and ready for submission and hosting. Collect metadata describing your genome. Contact the MaizeGDB team to request a data template. This metadata will be needed for both MaizeGDB and GenBank. Work with the MaizeGDB sequence curator to ensure the data is complete and correct. Submit your genome to GenBank or EBI ENA. This will involve creating BioSample, BioProject, and WGS records. Depending on your hosting agreement with MaizeGDB, you may need to send additional data, such as annotation, and additional datasets that have been aligned to your genome assembly. Genome annotations (gene models) can be hosted at MaizeGDB in the form of browser tracks and/or downloads of GFF or FASTA files. Contact a MaizeGDB team member for more information. Non-genome nucleotide sequences should also be submitted to GenBank, EBI's ENA or the DDBJ. GenBank (US), EBI (Europe), and DDBJ (Japan) share sequence data on a daily basis, so data can be submitted to any of the three. Data sets that can be aligned to one or more reference genomes hosted by MaizeGDB can also be added to genome browsers. Contact the MaizeGDB curators for more information. Protein sequences should be submitted to GenBank, EBI's Uniprot, or the DDBJ. Next generation sequence reads should be submitted to GenBank's Short Read Archive (SRA). Gene expresion data should be submitted to GenBank's Gene Expression Omnibus (GEO). MaizeGDB can also host gene expression tracks on genome browsers. Contact a MaizeGDB team member for more information. GenBank dbSNP no longer accepts non-human SNPs. Maize SNPS should be submitted to EBI's EVA. It is important to submit SNPs to EVA because EVA will provide permanent identifiers for each SNP, and because it will collapse identical SNPs into one record, maintaining the original submission identifier as well as a consensus identifier. MaizeGDB will also host tracks of aligned SNPs on the genome browsers. Note that MaizeGDB does not have sufficient personnel to do the alignments. Contact a MaizeGDB team for more information. The MaizeGDB team is still working on the problem of long-term storage of genotype and/or phenotype data in a form that enables integrating the data with other important data, exploration of datasets, and comparison with data from related studies. For now, consider using a generic long-term data repository like Data Dryad for your genotype and phenotype data. The SNPversity tool developed by MaizeGDB permits browsing and extracting blocks of genotype type data. Contact a MaizeGDB team member if you have genotype and/or phenotype data. Contact the MaizeGDB team if you have a dataset you would like hosted at MaizeGDB which is not listed here. We will work with you to see if and how your data can be hosted. How can community members contribute data? When can I expect data I generated to appear at MaizeGDB? The agencies that fund our research have encouraged me to contribute data to MaizeGDB. What can I do to ensure that MaizeGDB will take my data? Are you planning to assemble and/or annotate the maize genome? WHERE DOES THE DATA STORED AT MAIZEGDB COME FROM? The original data was inherited from the MaizeDB and ZmDB projects. Sequence data comes from GenBank, genome assembly and annotation groups, and other research groups that are producing genomic, transcriptomic, and proteomic sequence data for maize. Other types of bulk data are contributed by community members, usually in standard file formats like GFF, VCF, BED and are added to the database by members of the MaizeGDB Team. Pubic data from published literature are hand curated and entered record-by-record by MaizeGDB and community curators. To create a community annotator account, follow the link at the top of the page marked "login/register" and check the box to become labeled "I am interested in being a MaizeGDB curator" when you fill out the form to "Create an Annotation Account". You will be contacted via e-mail when your account is activated. MaizeGDB staff members regularly attend the Plant and Animal Genome Conference in San Diego, California and the Annual Maize Genetics Conference. To schedule a meeting at any of these conferences, use the feedback form at the top of this page to contact the MaizeGDB team, or you can contact a specific MaizeGDB member. Contact MaizeGDB directly with a request to host your data, using the feedback button at the top of the page or contact a specific MaizeGDB member. 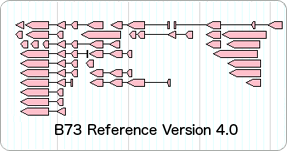 Notes can be added directly to records at MaizeGDB by researchers. To add a note, you will need a community curation account. Log in to the site using the login/register link displayed at the top of any MaizeGDB page. Once logged in, click "Add free text annotation" in the annotation section of most data record displays. Although researchers are encouraged to use a standard long-term repository that is appropriate for the type of data, large datasets can be made available through MaizeGDB by special arrangement. Use the feedback form at the top of this page to contact the MaizeGDB team or contact a specific MaizeGDB member to find out what arrangements can be made to accommodate your data. If possible, it is best to contact the MaizeGDB Team before you begin to generate large datasets so that a standardized format can be agreed upon and so that a customized pipeline can be created for importing your data in a timely and efficient manner. The MaizeGDB database is typically updated the first Tuesday of each month. Unless you have contacted us to make specific arrangements to accommodate your data, you shouldn't expect it to appear at the MaizeGDB site unless our data curators have curated your paper, usually because it was recommended by the Editorial Board. Use the feedback form at the top of this page to contact the MaizeGDB team to find out what arrangements can be made to make your important data become available through MaizeGDB. If you wish to contribute a large dataset, you should contact the MaizeGDB team using the feedback form at the bottom of this page to make special arrangements for its inclusion at MaizeGDB. Note that contacting MaizeGDB personnel well in advance and committing funds from your grants to cover the cost of personnel to curate your data into MaizeGDB are the best ways of ensuring that MaizeGDB can accommodate your requests for data storage. In general, if the data you are generating have historically been stored at MaizeGDB (e.g., your project is planning to generate genetic maps using a new set of probes), it is very easy for us to commit to including your data in the database. However, if you are proposing to create data of a type that is not currently stored at MaizeGDB, more work would be required of the staff at MaizeGDB (e.g., it may be necessary to make new tables in which to store your data and new data displays would be needed for the website). Unless you have contacted the MaizeGDB team, please do not assume that we can accommodate your data. 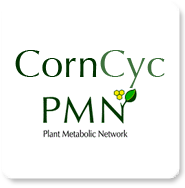 We are happy to make special arrangements to create new tables and data displays (e.g., we collaborate with the FSU Cytogenetic Map of Maize Project to make their cytological images and data available). In summary, we encourage you to contact us prior to reporting to the funding agencies that we will take any and all maize data your project plans to generate.